In the 2014-15 academic year, the Young People's Trust for the Environment provided a new Roots to Green Living project at seven schools in Ealing, Hillingdon and Hounslow. This project was funded by the Heathrow Community Fund's Communities for Tomorrow grants programme and the Ernest Cook Trust. An Education Officer from YPTE provided the equivalent of a day a month of support to Oldfield Primary School, Oaklands Primary School, Perivale Primary School and St Gregory's RC Primary School, all in Ealing, to Norwood Green Junior School and St Mary's RC Primary School in Hounslow and to Yeading Infant & Nursery School, Hillingdon. Through Roots to Green Living, YPTE helped the schools to create new areas for environmental education in the school grounds and to encourage the use of school grounds for learning about the natural world. We created opportunities for parents and staff to volunteer their time to assist in the creation of new environmental areas. 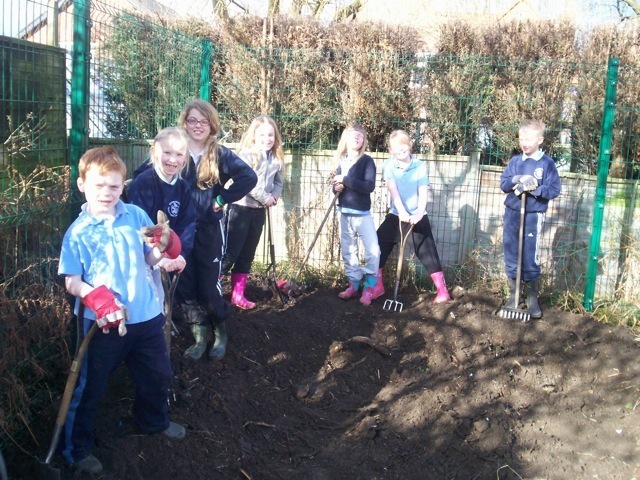 And as part of Roots to Green Living, each of the participating schools received a grant of £1,000 to purchase the plants, tools and other equipment they need to create new environmental areas, vegetable growing areas etc. YPTE's first Roots to Green Living project, which involved eight schools in the Bath, Bristol & North East Somerset area came to an end in July 2014. It was made possible thanks to the support of the Cadbury Foundation. 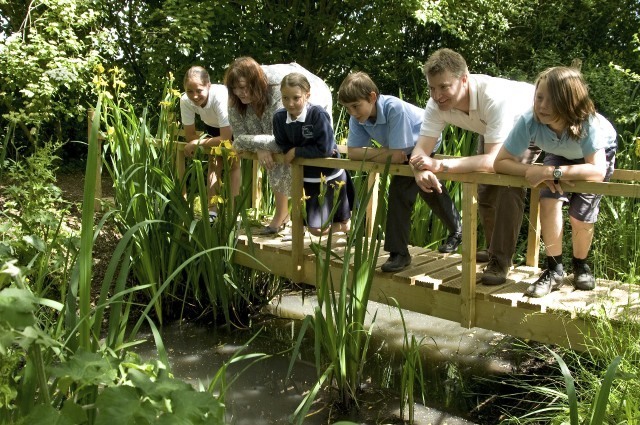 The project began in September 2011 and since then, each of the eight schools taking part has received free expert support and encouragement to enable them to develop and maintain new environmental areas and facilities for their school grounds. The emphasis of this project was very much on talking to the children, developing grounds, integrating outdoor education into the curriculum, and ensuring that this work continues well beyond the end of the project. We hope that all of the schools will continue the exciting development of their school grounds for environmental education into the future, demonstrating how Roots to Green Living can be sustainable and affect thousands of children's perceptions of the environment. Roots to Green Living is about inspiring and educating children to understand, enjoy and care for the environment both now and in the future. The more active and passionate their interest in their environment, the more likely they are to lead themselves and others to make better informed and more sustainable decisions about their world. ‘...the breadth of evidence available on the restorative effects of outdoor educational is considerable and there has been a continuing policy interest in the health and wellbeing outcomes associated with the use of outdoor spaces in education’. All the above quotes taken from ‘Outdoor Education: The Countryside as a Classroom’, published by The Countryside Alliance Foundation, 2010.